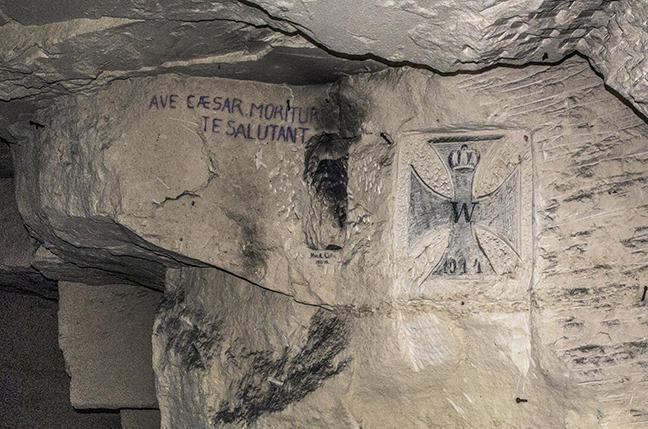 One of the highlights of my trip to Paris in December of 2013 was a visit to the Catacombs with my friend Des, author of the extraordinary Soundlandscapes blog. 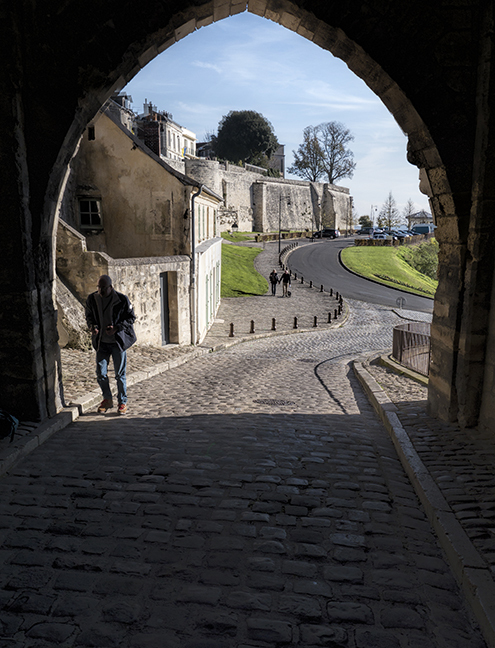 I was happy to share with him what I’d learned about the Catacombs’ history, and even happier to give credit to Gilles Thomas, who arguably knows more about Paris’ underground than anyone. So imagine my surprise a day or two later, when I got an email from Mr. Thomas! (To put it in perspective: It would be like being an evolutionary biologist and getting an email from Charles Darwin.) 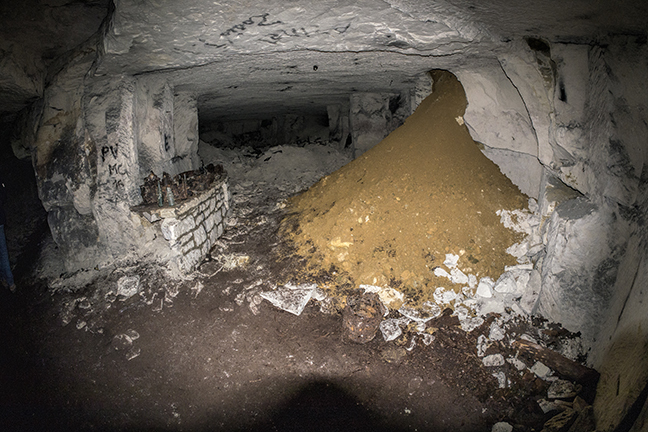 After months of exchanging emails with Gilles I finally had the pleasure of meeting him in Paris last week for a couple of underground adventures. Here’s an account of the first, which, fittingly, took place on November 11. “Excuse me,” I said in French, “but could you please pull over?” We were about an hour out of Paris and the car seemed to be spinning slowly to the right, even as I kept my eyes on the horizon. I got out and paced along the side of the road, trying to focus on the gravel beneath my feet and the sun-dappled, golden forest around me. Fall had come late this year, but I welcomed the crisp air. 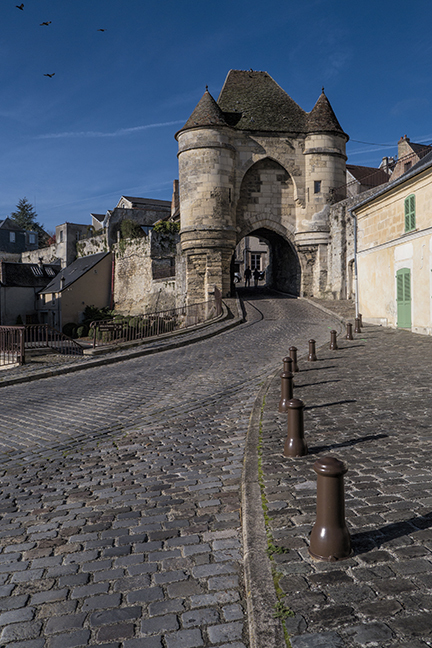 About a half hour later we were walking through the old castle gate and into the medieval town of Laon. I had commented earlier, when we’d glimpsed the town in the distance, that the original settlers had chosen their spot wisely: Perched atop a hill, they would have seen trouble coming from miles away. But not in their darkest nightmares could they have imagined the violence that would unfold a few hundred years later in the verdant valleys below. Picardy looks peaceful today, dotted with tracts of woods and farm fields full of potatoes and beets. 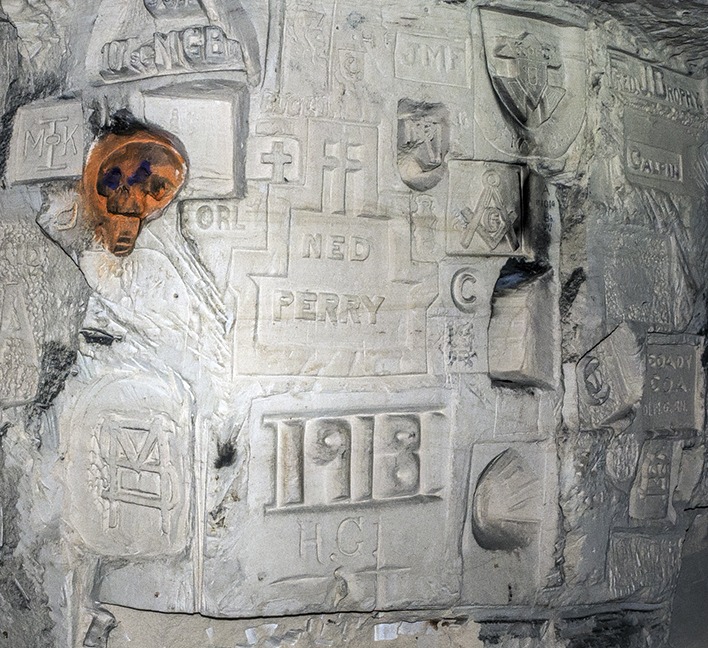 But during World War I this stretch of land — the “Chemin des Dames” — was literally soaked with blood between 1914 and 1918 as battles raged continually for control of the strategic crossroads. 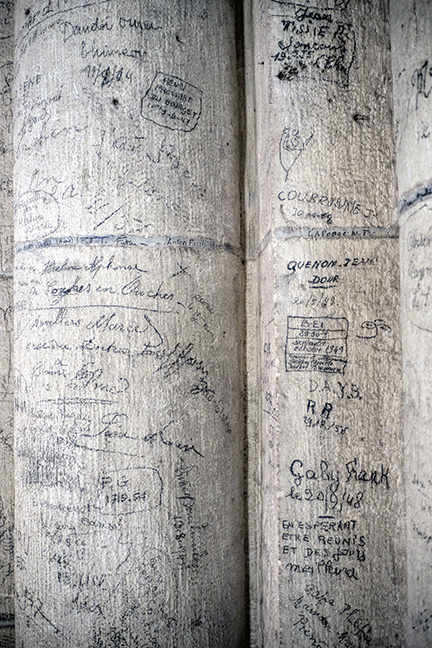 Laon bears scars from some of those conflicts: Barely upon entering the cathedral, Gilles pointed out several columns full of scrawled messages from both World Wars. 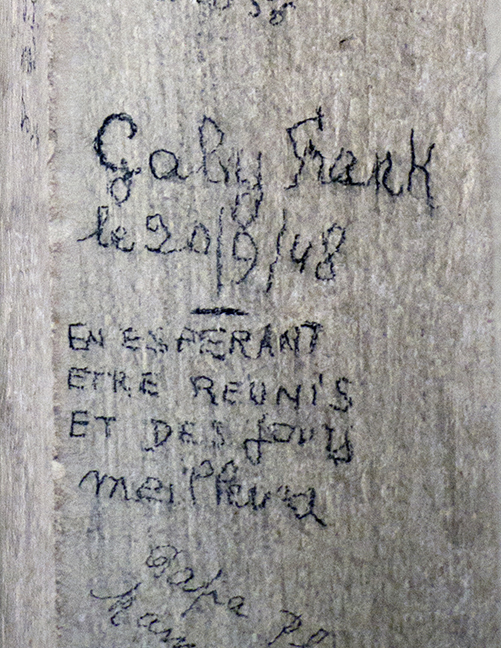 “En esperant être reunis et des jours meilleurs,” wrote one person (“In hopes of being reunited and of better days”). 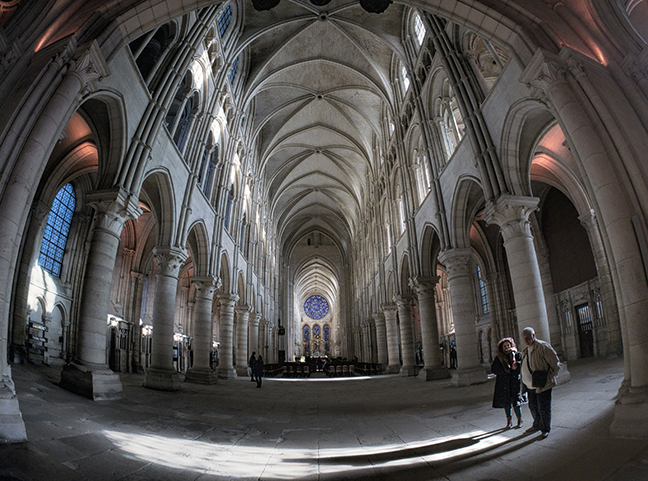 I wondered how many people had sought solace in this sanctuary over the centuries. Outside, the sun was dazzling at its mid-day peak, and we squinted as we walked around the corner in search of lunch. In his characteristic generosity, Gilles pulled several books and DVDs from his backpack and began to distribute them. “T’es un véritable Père Noël,” I joked, as I accepted his presents and thanked him for lunch. Little did I know that he was about to give me an even greater gift. 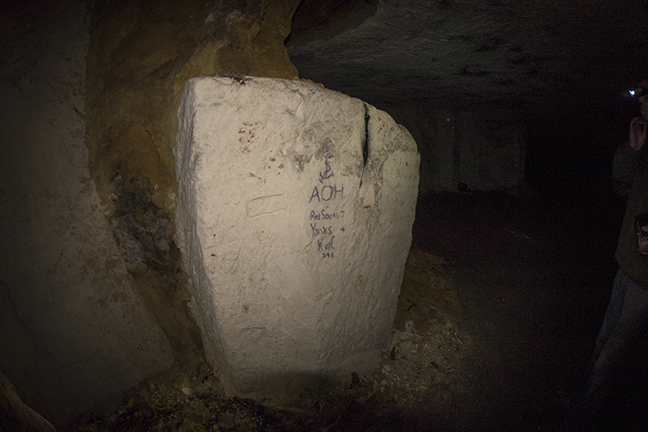 Gilles had told me months ago about the Carrière de Braye (Braye quarry), which lay just a half hour’s drive away. 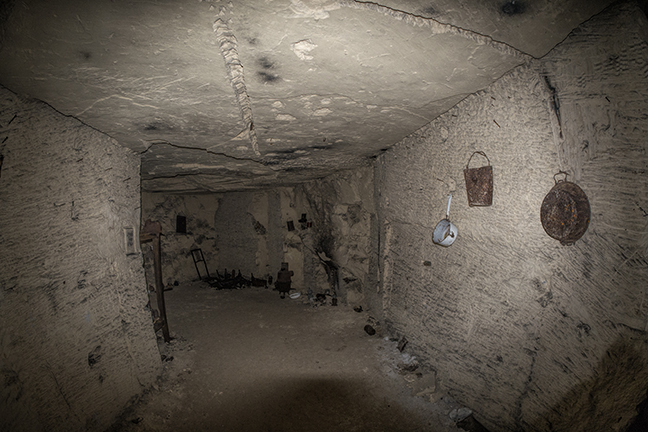 It was a source of limestone as early as the middle ages, but it found new purposes — as a shelter, dormitory, field hospital, and storehouse — during World War I. 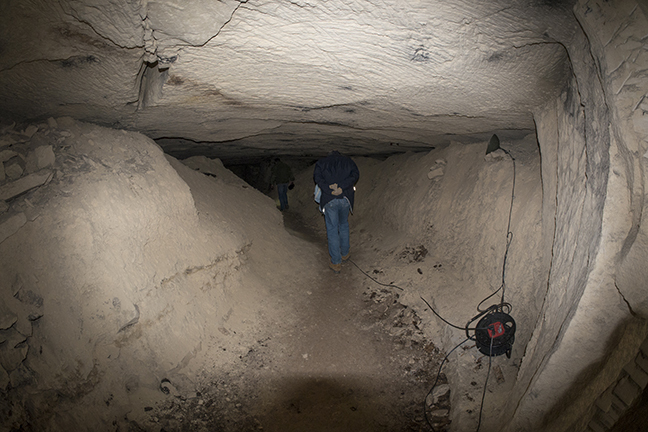 Since then, however, these man-made caves have sat largely untouched. 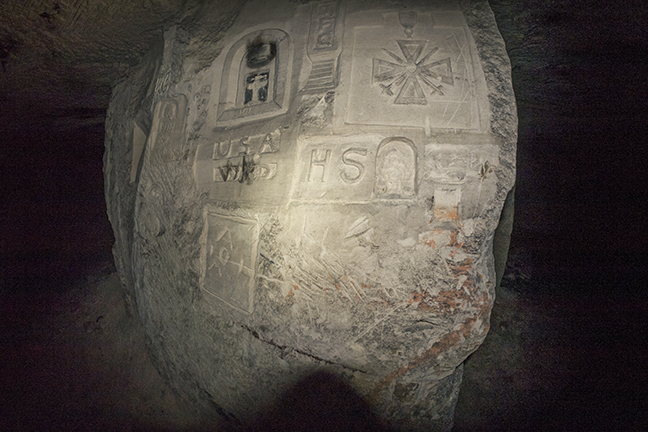 I’d seen photos of some of the artifacts and inscriptions the soldiers had left behind, and I was eager to experience the history first-hand. Still, waves of apprehension washed over me as Martine negotiated the winding one-lane road: Would I feel claustrophobic, with only my headlamp to light the way? And what if the vertigo returned? But soon there was no going back: We’d reached the quarry. “I present to you Gilles Chauwin,” said my friend Gilles Thomas. After exchanging greetings and pleasantries, Mr. Chauwin set off to open the entrance. 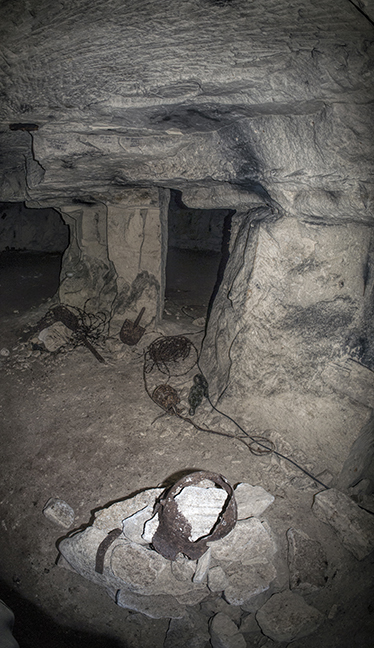 The Braye quarry — located near the village of Braye-en-Laon, in the French department of Aisne — is one of several hundred man-made caves in the region. Locally the quarry is known as “la creute des Américains,” or “la creute des Yankees,” but I soon came to think of this one as “Mr. 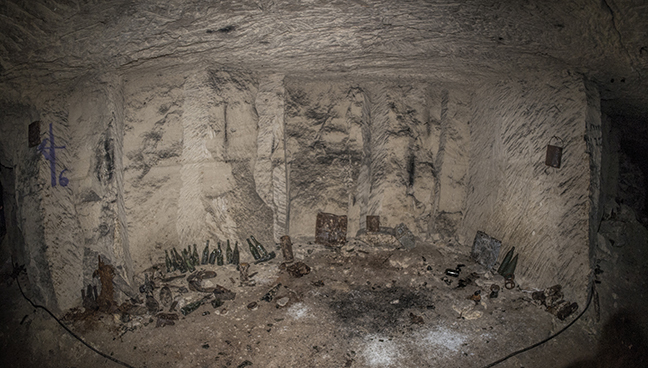 Chauwin’s quarry.” He’s been exploring and researching this quarry for more than 40 years, and has amassed an encyclopedic knowledge of the events that surrounded it and the men who took shelter inside. 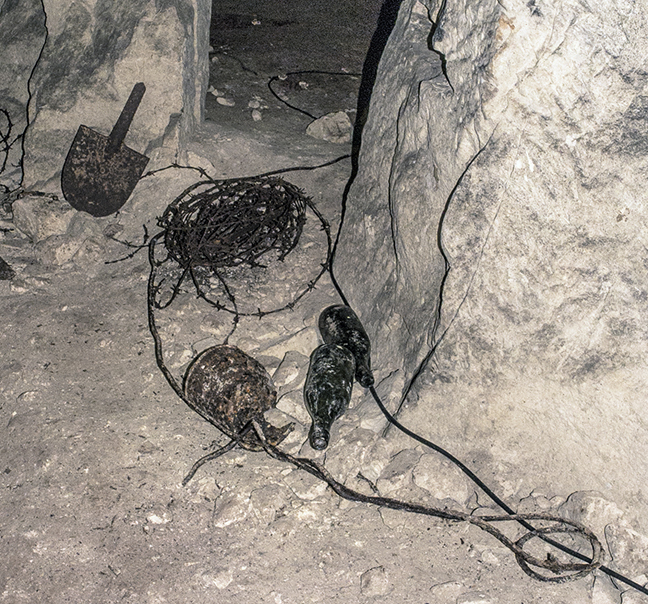 In fact, even while we were still on the surface Mr. Chauwin’s devotion was evident: With his own hands, he had created a memorial sculpture at the entrance — as well as a locked, double-gated vestibule to protect the quarry from intruders and vandals. “Over there is where the canal came from,” my friend Gilles said, turning in the opposite direction and gesturing down the hillside. He had told me in the car that a river of sorts used to run directly through this quarry, and that for a while the Germans actually had barges that brought in supplies through the partially subterranean canal. A couple of hunting parties — complete with shotguns and baying beagles — interrupted our history lesson. 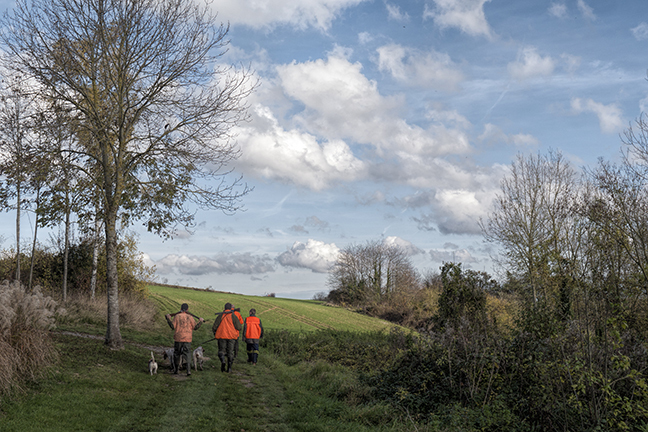 I watched the men in bright orange vests tromp toward the woods and wondered whether they knew what lay underfoot. Any misgivings faded the instant I stepped off the last rung. Some 30 feet below the earth, the air was cool and moist and quiet. 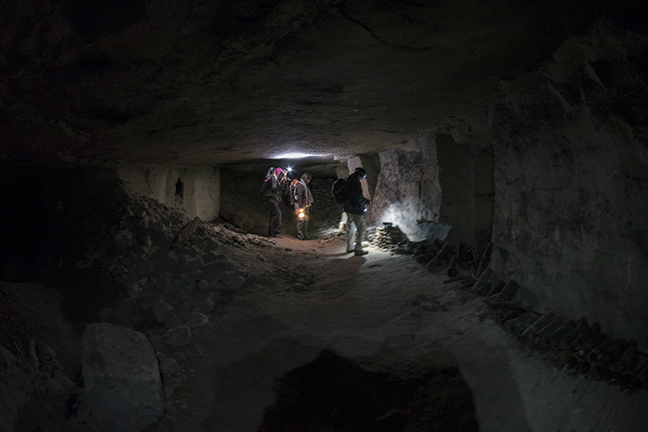 I fiddled with my headlamp as I followed my new friends into a narrow passage. 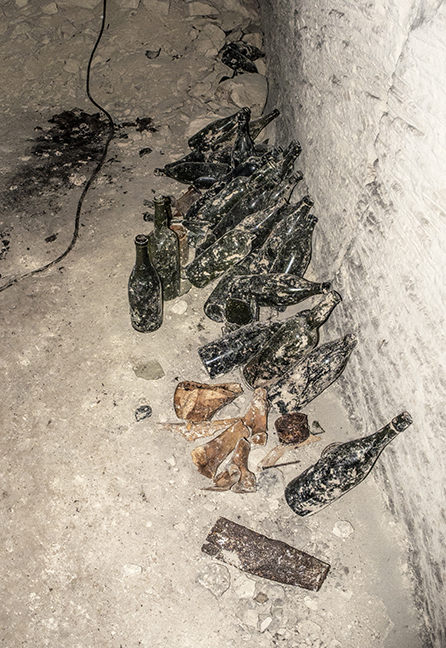 I was astounded by the wealth of artifacts that lined the walls and lay in heaps on the ground. 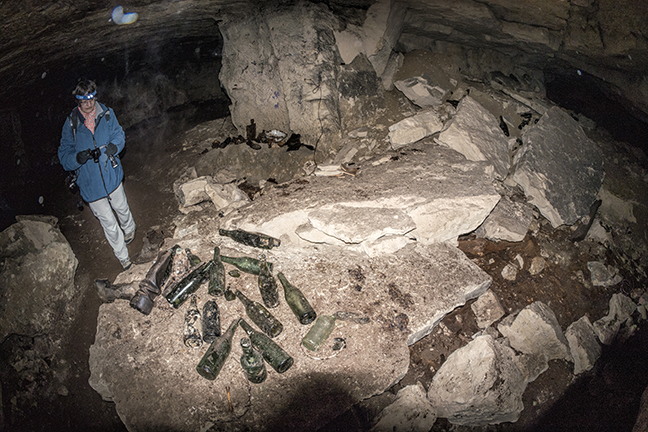 Though thoroughly rusted, the old helmets still kept their shape — and judging from the stacks of bottles, drinking was a big pastime. So was drawing and carving. “Look at this,” Mr. Chauwin said in French, pointing at the wall. 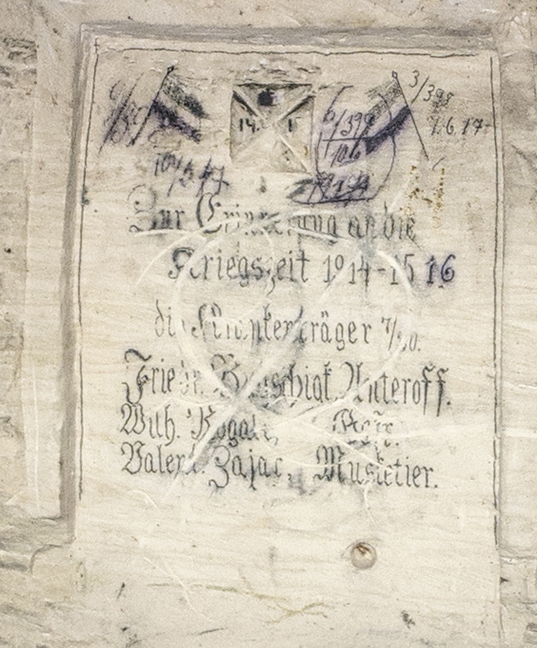 The inscription was in German: “ERRICHTET, 31-7-1917.” The German soldier who made the inscription had likely been there for the Second Battle of the Aisne, in April of 1917. To weaken the German defenses, French general Robert Nivelle had pelted the Germans for six days with some 5,300 artillery guns. But what he didn’t know was that the Germans had holed up in these quarries. On April 16th the French infantry and some colonial Senegalese troops advanced, only to be stopped by intense fire from the Germans’ new MG08/15 machine guns. The French suffered more than 40,000 casualties on the first day alone — and over 120,000 in the next 12 days. 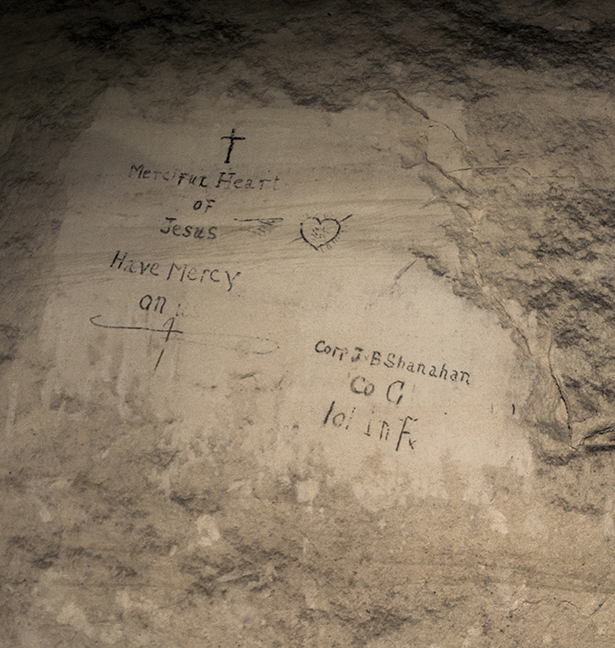 Just as the numbers are staggering, so were the methods of war: Although poison gas and longer-range weapons were making their debut, many of the conflicts were still fought hand-to-hand — by musketeers, like the one who wrote a lengthy inscription in pencil. “It is crossed out by the person who took the picture to say, ‘I am the last person who took this picture,’ ” said my friend Gilles. 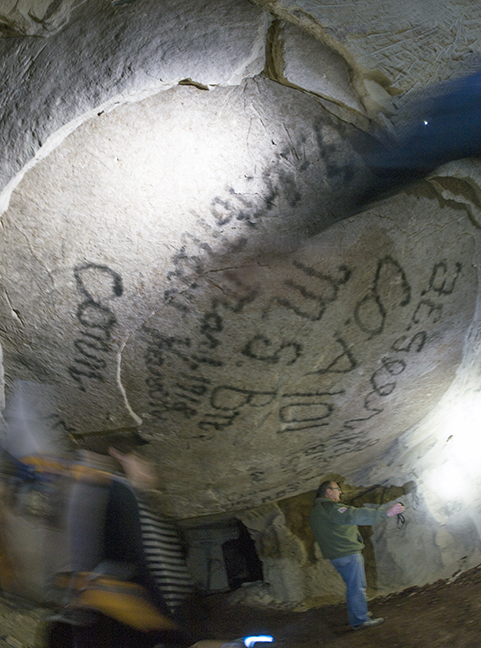 It was only the first of many vandalized or missing inscriptions I’d see during our two hours underground. No wonder Mr. Chauwin had installed two gates. At various points we passed mounds of rusted barbed wire. 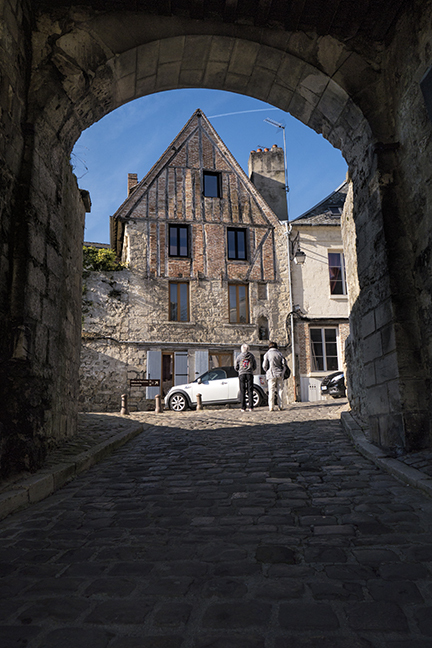 “That was to keep out the rats,” Mr. Chauwin said. 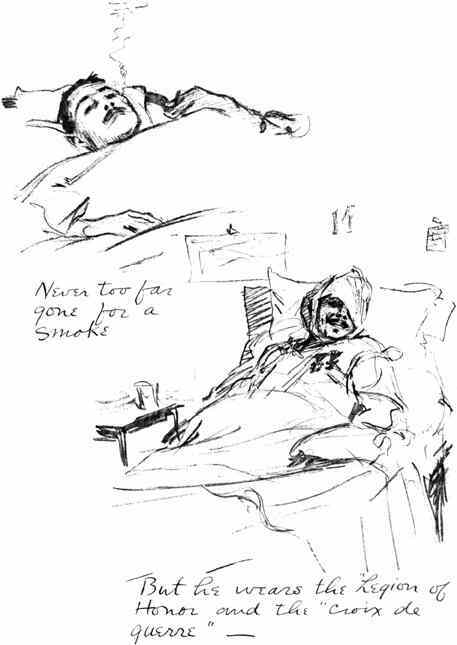 It wasn’t difficult to imagine the soldiers’ need to ward off pestilence as they slept among their injured and dying comrades. There was also the risk of cave-ins and collapses. 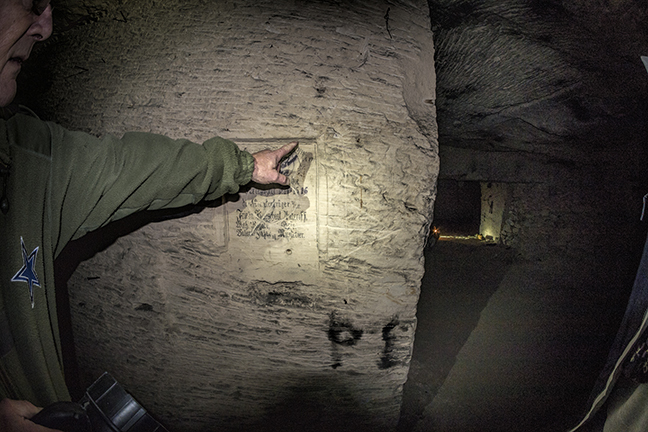 We passed one section where the roof had disintegrated, and another where a cave-in killed a quarry worker and his son in 1838. I felt like I was disturbing a tomb when I crawled through a narrow hole to read their memorial; their bodies still lay next to me, somewhere under the pile of rubble. Even today there are unstable areas that need to be reinforced. 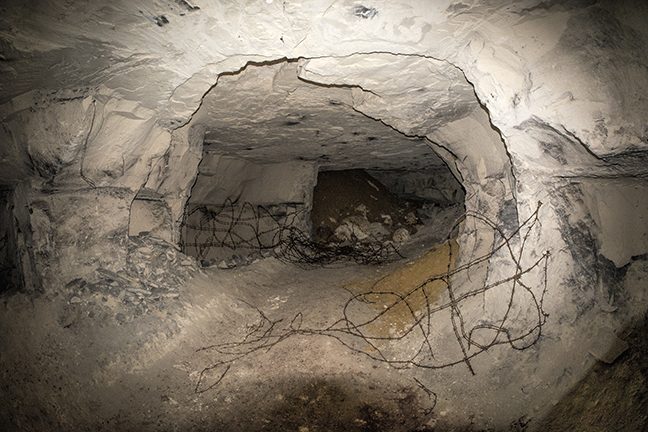 These subterranean dangers — and the terror that reigned above the ground — took their toll on the soldiers. 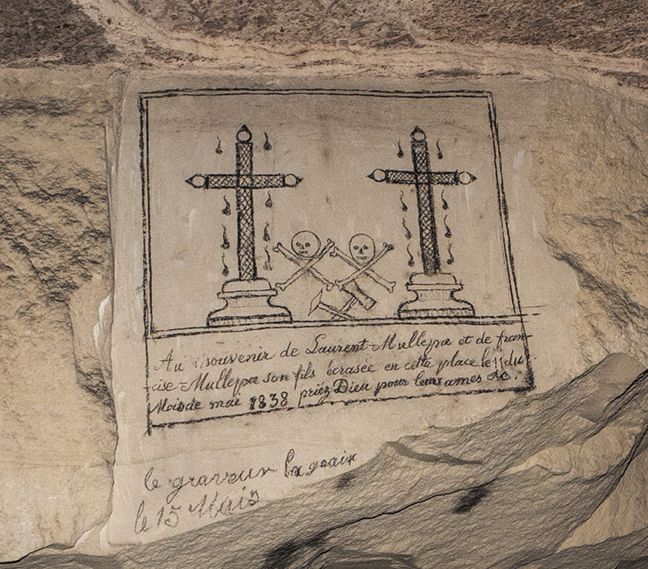 “They were afraid,” Mr. Chauwin said, as he pointed at a skull one soldier had carved into the soft stone. 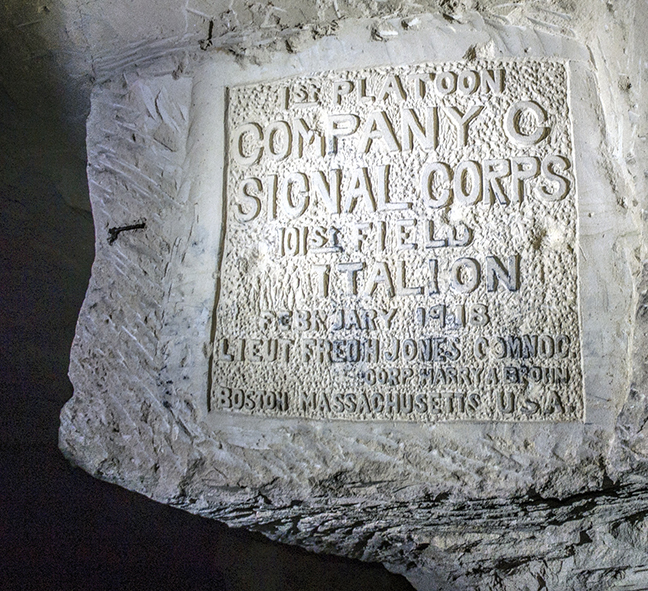 Many were obviously proud of their contribution to the war, like the soldiers of the First Platoon Company C Signal Corps, 101st Field Battalion, who created a detailed plaque listing the date of their service and their commanding officers. “They even spelled out ‘Massachusetts!’” I quipped. 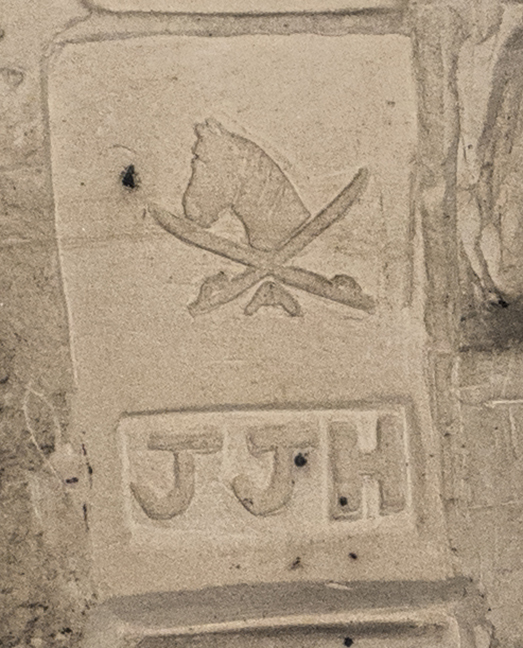 Other soldiers memorialized their units, their friends, and even their horses. But the vast majority of the men were keenly aware that they likely were creating their own memorials, and their thoughts turned to what they cherished most. “Merciful Heart of Jesus have mercy on us,” wrote one. Another felt it important to record what looked like baseball game results. But maybe the “Red Sox” and the “Yankees” were code names, and it was a different kind of score? Some soldiers pledged allegiance to their Masonic temples, or drew harps and clover leaves to celebrate their Irish heritage. 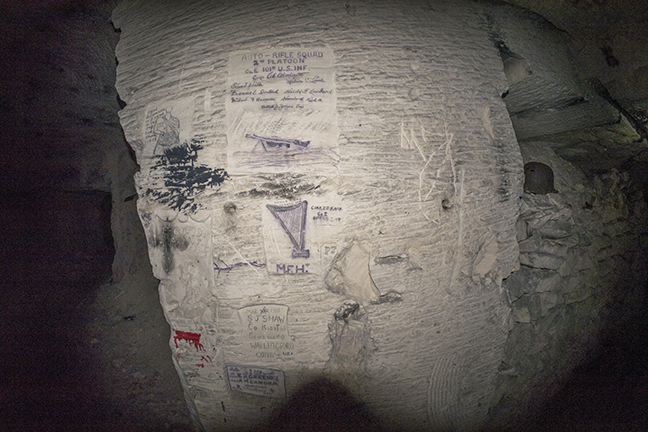 A few dedicated their inscriptions to their women back home — and a handful even listed their complete address, perhaps in hopes that news would reach their loved ones if they didn’t survive. 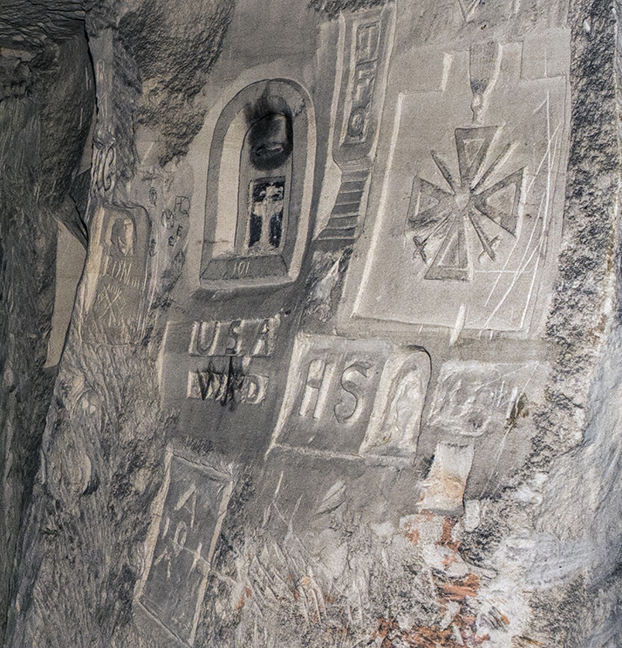 Through their beautiful drawings and carvings, I felt a deep personal connection to the humanity of these men. 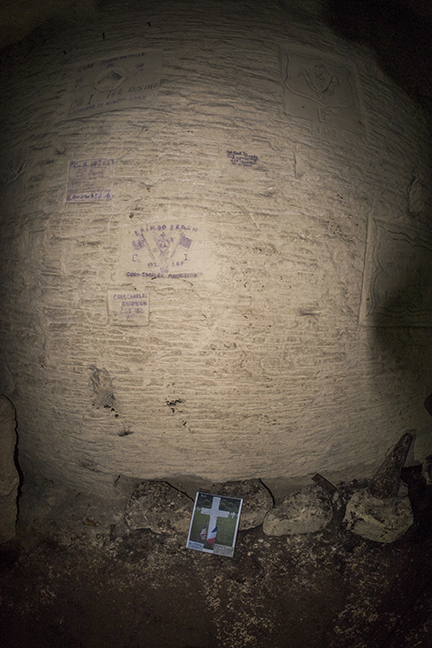 It was evident that Mr. Chauwin felt a deep personal connection the men who left their traces here, too. 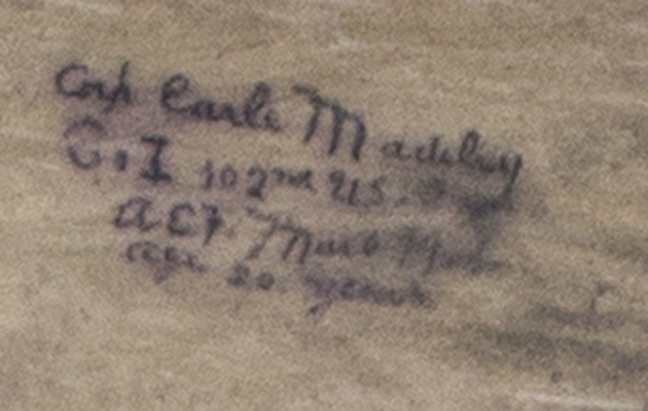 Earle William Madeley, of Plainville Connecticut, was 20 years old when he was killed on July 21, 1918. 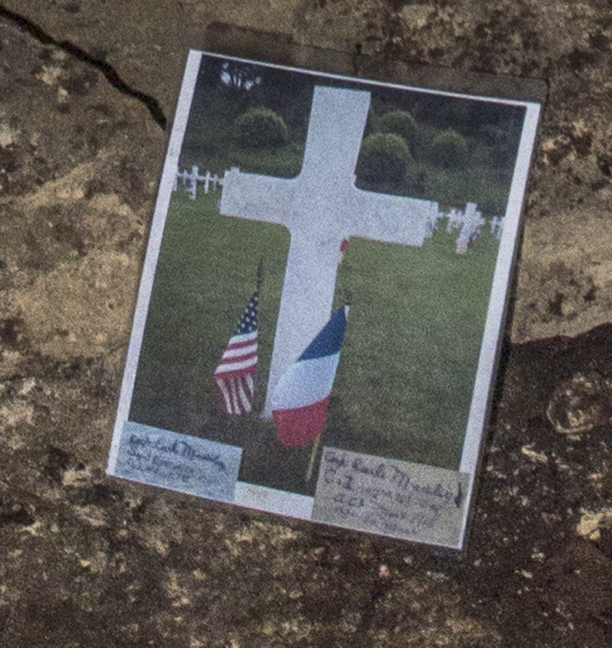 On the ground beneath Earle’s inscription sat a photograph of his grave at the Aisne-Marne American Cemetery. On the last day of our hike from the Aisne Front … we saw nothing out of the ordinary till a large opening on the side of this hill came into view. 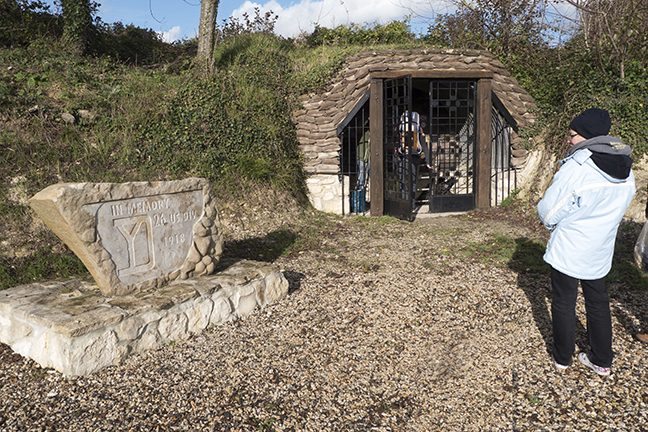 This proved to be one of the openings or entrances to the famed “Chalk Mines of Soissons.” As we marched down a slope, which led us into the mines, thousands of lights came into view and routes leading in every direction. Allied troops were coming and going — British, French, and Italian. Guides from the French Army took over and led us into a section that had been assigned to us till we moved on the next day. Our bunks for the night were formed by using four pieces of two by four, two long and two short, and after they were nailed together, heavy screening was attached then the forms were placed on sturdy legs. Then, I began to explore our new surroundings. Well, it didn’t take long for me to get myself completely lost. I had located a French canteen and as soon as I had made my purchase, I turned to go back to our location. Oh! Brother! There were plenty of routes but I wasn’t sure which was the right one. 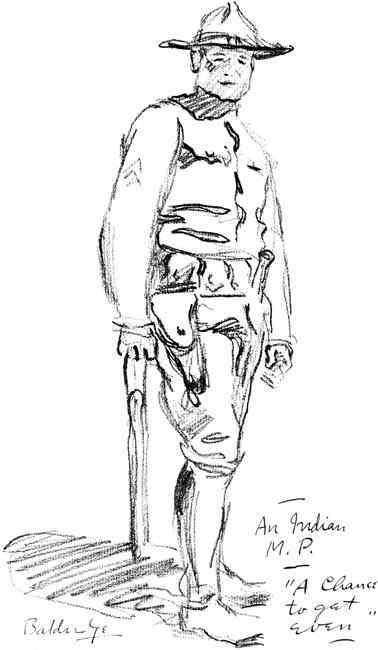 In the meantime a French Sergeant saw me and realized that I was lost so, with a little French I had picked up plus a bit of English he understood, he first took me to his outfit where a good sized party was underway. One of the non-commissioned officers had just been promoted and a celebration was in order and I was invited as their guest. The barrage lasted till dawn began to show and then our first casualty was discovered. He was almost completely covered with earth and the blood was pumping from his mouth, ears, and eyes. Nothing could be done for him so he just choked up and passed on. Then Corporal Coe got a bullet in the guts and we laid him on the parados. He kept hollering “Charlie! Oh! Charlie! For God’s sake, do something for me.” I gave him some water from my canteen. Then, I ripped open his shirt and there was a hole in his belly. Then a piece of shell hit him in the neck and decapitated him completely so his misery was over. 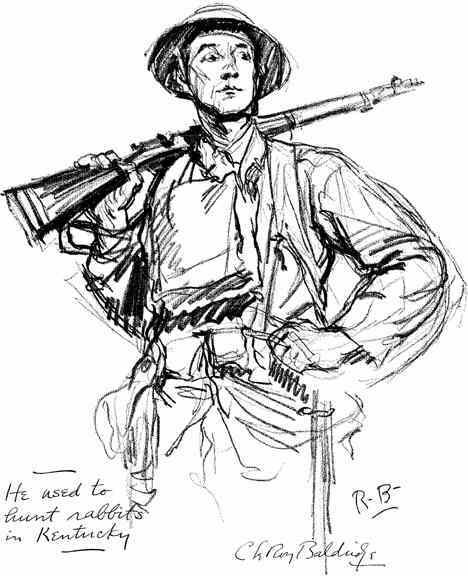 Charles Boucher himself was twice gravely injured, and almost lost a leg to gangrene — but he survived the war and came home. “Lucky Charlie,” indeed. A surprising number of similar first-hand accounts still survive. 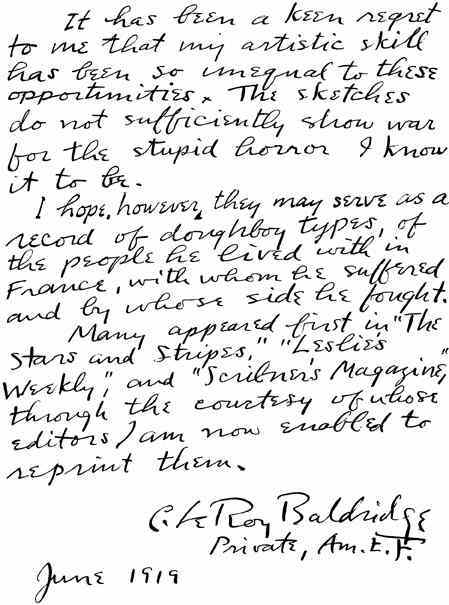 But perhaps one of the most compelling was the collection of sketches Mr. Chauwin had urged me to look up online. 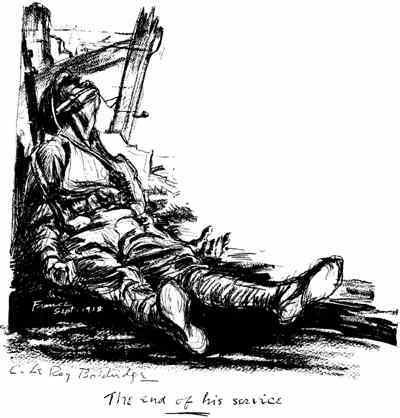 C. LeRoy Baldridge published “I Was There With the Yanks on the Western Front” in 1919. Now available through The Gutenberg Project, this collection of visual memoirs literally put a face to the names I’d been seeing in the quarry. It has been a keen regret to me that my artistic skill has been so unequal to these opportunities. The sketches do not sufficiently show war for the stupid horror I know it to be. 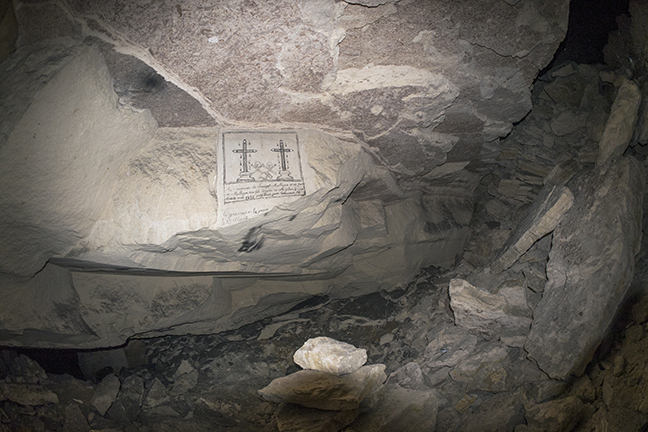 As we approached one of the quarry’s dead ends, we reached a small shrine with three black crosses propped against the wall. 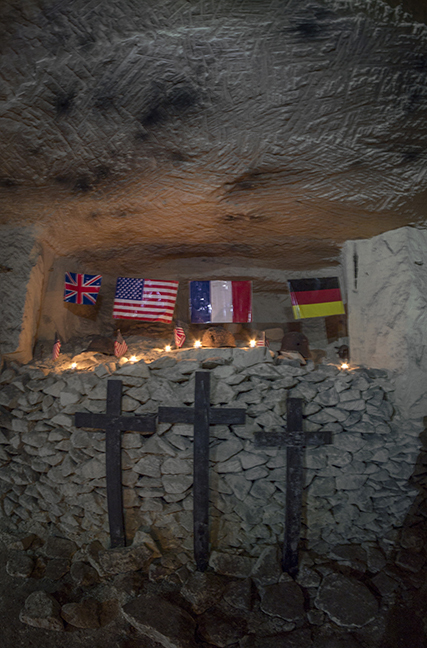 Above them, in an alcove cut into the stone, hung the British, American, French and German flags. We all fell silent and an air of reverence overtook us as Mr. Chauwin distributed votive candles. One by one, we lit our candles and placed them beneath the flags. And I thought of the stupid horror that is war. I thought of the strange amnesia our species has, that even as we mourn the senseless losses of generations past, we continue to slaughter and maim and destroy. Still … I continue to hope that one day we’ll finally overcome our seemingly innate mandate for self-destruction, and that one day we’ll come to see places like Mr. Chauwin’s quarry as museums of a time we temporarily went mad. I am immensely indebted to Gilles Thomas and Gilles Chauwin for this truly extraordinary experience. Merci infiniment. Amazing recounting of your journey. I’m deeply touched and feel, ever so slightly, as if I have walked in your footsteps through that hallowed ground. As always, thanks for sharing it with us. And I hope that vertigo episode was just a little country car sickness. This is just fascinating. Like Mark, I feel I am living vicariously through your travels and adventures. Keep it up, my friend — you’re giving us great lessons on France and WWI and history … as well as how to really live life. Forward! Thanks so much for your kind words, Sherri! 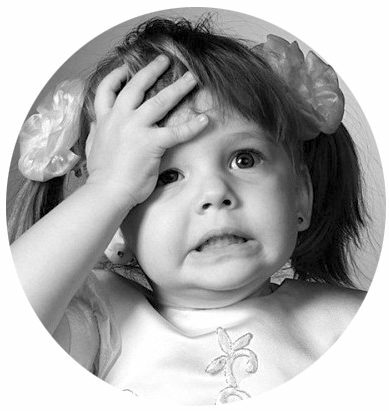 And if you enjoyed this post, fasten your seat belt, because there are more like it on the way! Cheers to you, and thank you for always being so kind and encouraging. What an adventure for you. Love the photos. Very evocative reporting, H. I had heard of these mines but wasn’t able to imagine them until reading this. Your account has moved me very much. Thank you for your kind words, DB. 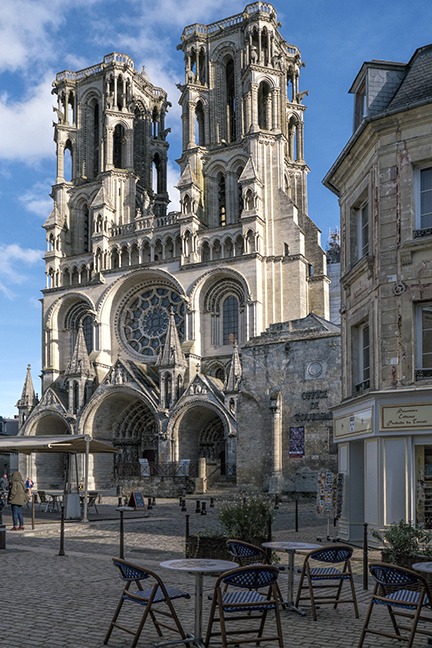 I’m not sure I’ve done the place justice because it’s wrapped in so many layers of history. But I do feel very privileged to have been able to at least see it first-hand. This is superb. A fascinating and moving account of your trip and wonderful pictures too – and especially appropriate for the centenary of the outbreak of the First World War. Wow H this is amazing. You are one brave woman, I’m not sure I would have made it that far down, but I can see it was certainly worth it. What an amazing and fascinating account of history through your lens and pen. Want to know a secret, Rochelle? I’m really not that brave. 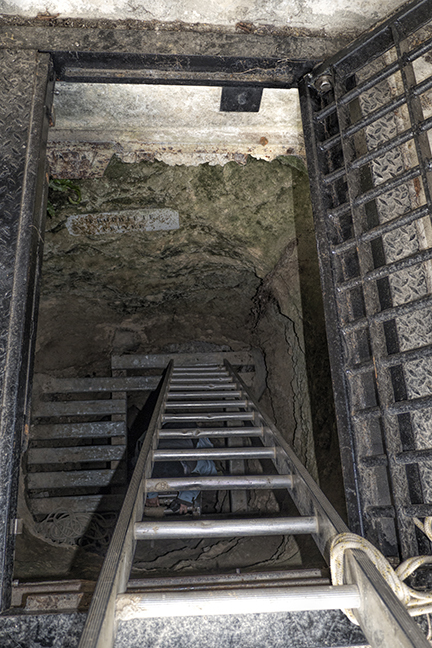 In fact, I tackled that ladder only because so many people had gone through so much effort to bring me there. 🙂 But as you so rightly say, it was totally worth it!